In today’s world, social media is expected strategy for every company. Consumers, clients, and the everyday person search online for information about a particular company. In 2015, Facebook influenced 52% of online and offline decisions, up from 36% in 2014. And for companies like SIS — whose audience is potential clients and employees — brand awareness and community is even more important. 84% of CEOs and VPs say they use social media to help make decisions about brands. What is the power of digital marketing, and how is SIS harnessing it for success? Social media plays a valuable role in community building: answering questions, handling concerns, and responding to media attention. When a crisis occurs for a brand — a negative news article, a bad employee review going viral, or something so big it causes lost business — digital marketing plays a key role in PR efforts towards calming the storm. Think about United’s crisis earlier this year. Not only did something extremely damaging happen to their image, but their CEO’s lack of response and apology made it worse. When something goes publicly wrong, 42% of people expect a response via social media in less than an hour. And when everything is smooth sailing, social media helps people have a positive outlook on the brand. Dove’s “Real Beauty” campaign has been the source of a huge increase in sales, with more people citing Dove as a trusted, reputable company that they want to support. Social media is a powerful tool for personnel sourcing strategy and connecting with potential hires. SIS hires thousands of employees a year for operations, corporate offices, and special events. Using social media to can diversify your recruiting strategy. Using social media, companies can highlight open positions, answer questions about benefits or the application process, or source candidates. One of social media’s most powerful tools is “targeted advertising.” If we’re looking for a Security Specialist in Miami with prior security experience who is interested in a new job, we can use Facebook and other platforms to find those potential candidates that meet certain demographic criteria. 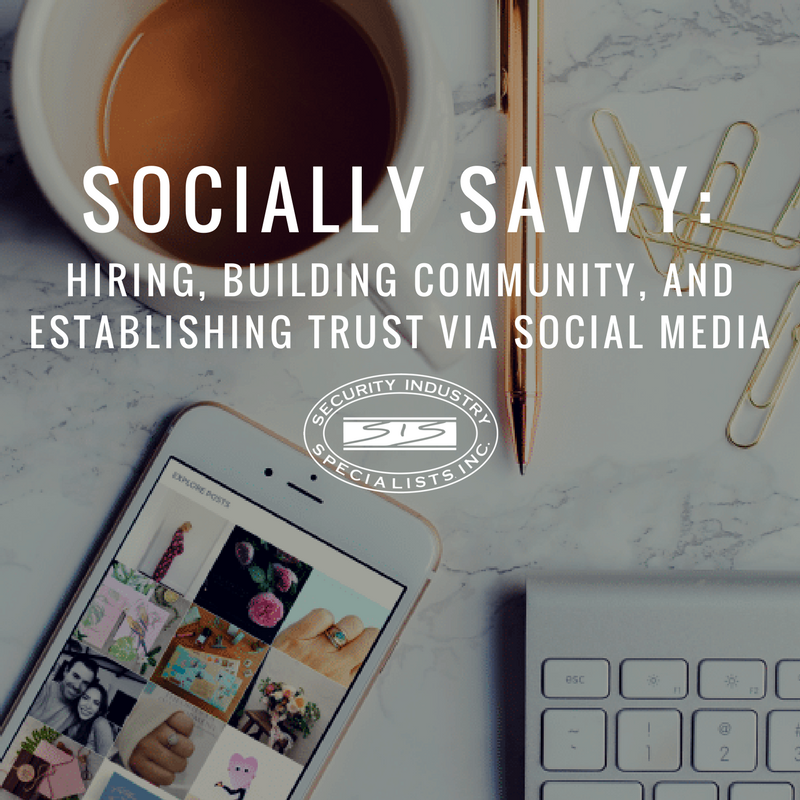 Social media helps a business connect with and hire employees, engage with current employees to tell their stories and make them feel valued, and celebrate SIS’s accomplishments. In sharing employee anniversaries and side projects, in giving away SIS swag, in answering commonly-asked questions, in fielding messages from potential customers, these online platforms serve as a versatile tool for SIS. We now has an engaged online community that trusts us and views SIS as the industry leader in security. In building trust via making people feel like valued community members online, we make our community members more likely to work for us, recommend us to others, and talk positively about us online. Social media platforms have many powerful uses, but none stronger than developing a brand’s online identity to increase sales, find great talent, build trust, and showcase our wins.